Looks good, but how does it perform? Ah yes, hatchbacks and the ’80s. Rally superstars like the Lancia Delta, the Renault 5 Turbo, the Audi Quattro, the Peugeot 205 GTi and the MG Metro 6R4 dominated my childhood dreams back then. Throw in the Toyota KP61 Starlet plus the enduring and endearing Volkswagen Golf, and you’re guaranteed to have a life-long love affair with hatchbacks. 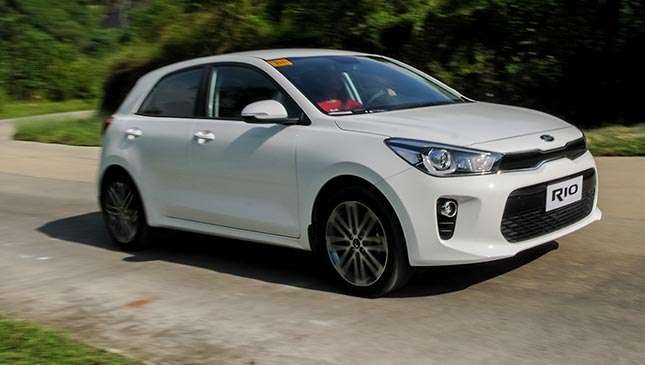 The previous Kia Rio pretty much had my attention (obsession was more like it) when it first came out—a far cry from the first two generations. 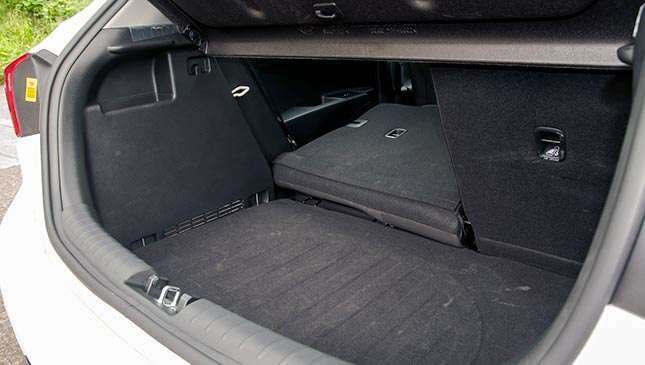 It was a bold new design for the model line, and with hints of both the MkV Golf and the Seat Leon, it seemed like it had skipped a generation or two in the looks department. 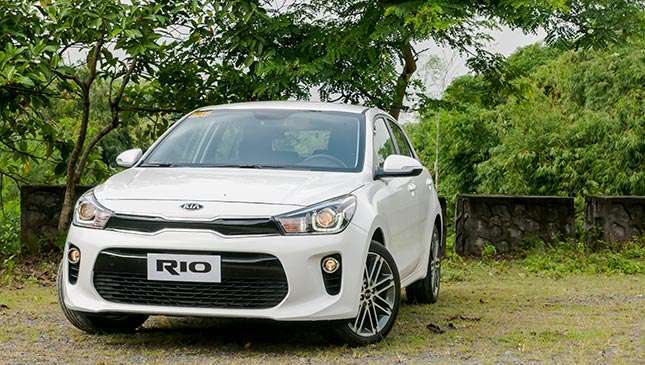 Now, with the all-new Rio, the excitement is present once more. Traces of the Golf and the Leon remain, but they work, and very well at that. Kudos again, Peter Schreyer. The car has looks that you know will age well. There’s a nice flow of lines and angles that come together to form balanced proportions, as well as a more chiseled and defined appearance. 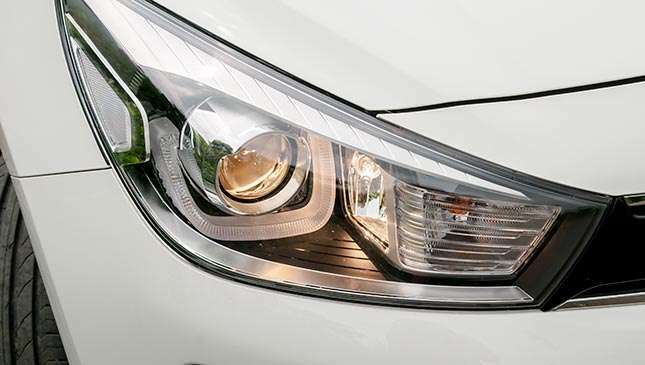 This top GL variant gets halogen headlamps cradled by handsome U-shaped LED DRLS. 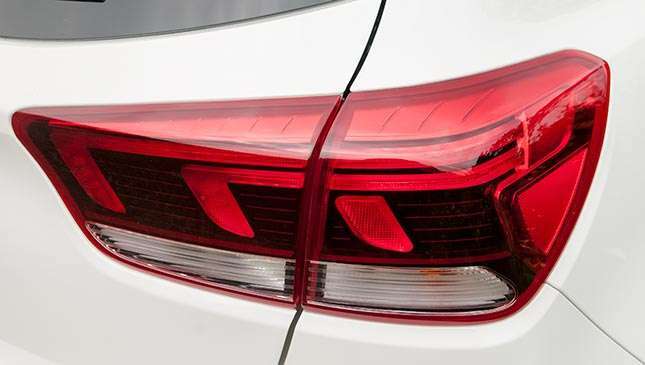 The attractive taillights are LED units as well. 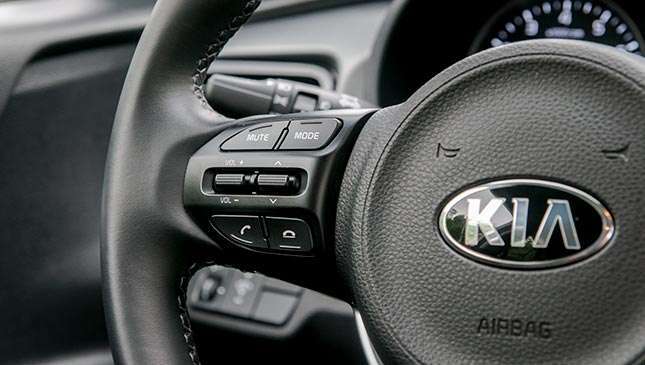 Convenience comes in the form of keyless entry, an engine start/stop button, adjustable headlamps, halogen turn-assist lighting, rain-sensing wipers, and an auto headlamp mode (leave it in Auto to get courtesy lighting as you leave or approach the car). On the GL, you’ll also find heated, power-adjustable, and power-folding side mirrors with turn indicators. 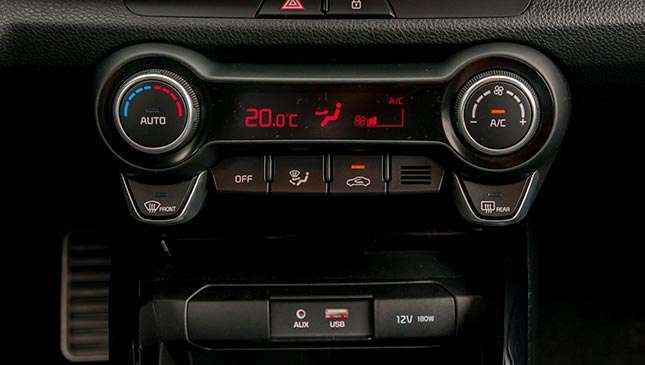 A modern, fully automatic climate-control system is available, too, as are vehicle customization settings so you can easily personalize your Rio experience. 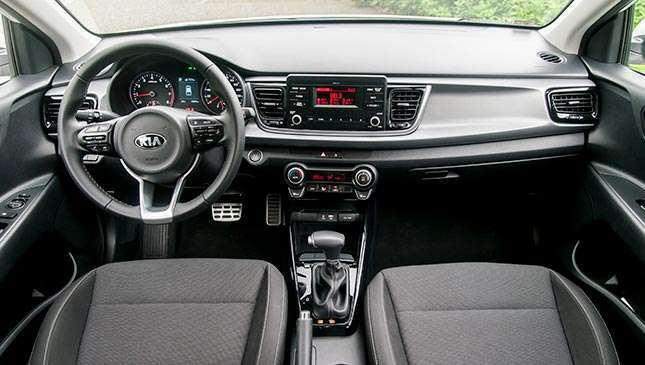 I feel that despite having only 99 horses under the hood, this Kia subcompact has potential to be a fun drive. Unfortunately, the four-speed slushbox is too relaxed and will quell any adrenaline-fueled driving cravings. 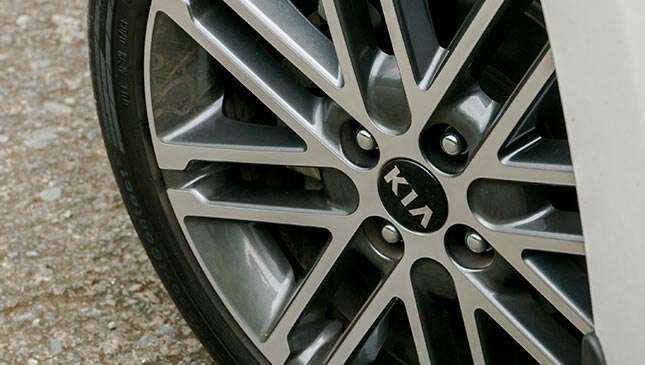 The brakes are resolute and highly capable, notwithstanding the front-disc, rear-drum setup. 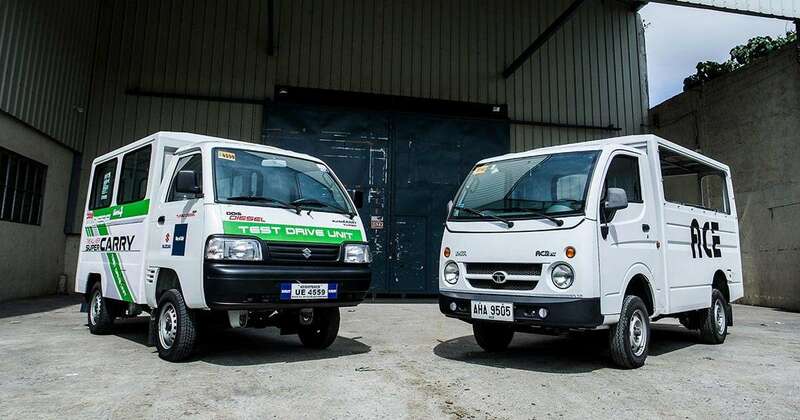 On Manila roads, the suspension and the 17in wheels, which are shod with Continental tires, perform remarkably. It’s all pretty well sorted out. There’s a sound, however, which I’ll get into later. 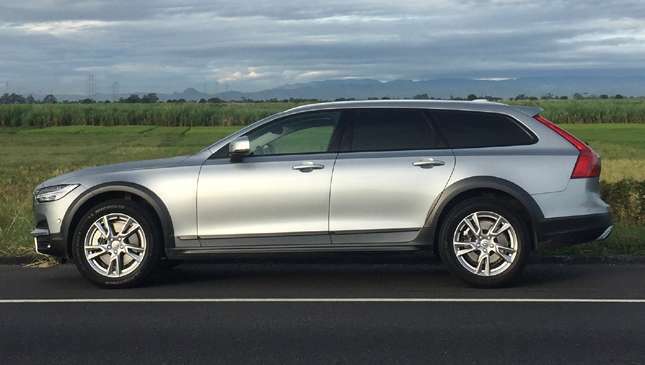 Safety features include rear parking assist and ABS on the GL, but dual airbags only come with the automatic variants. 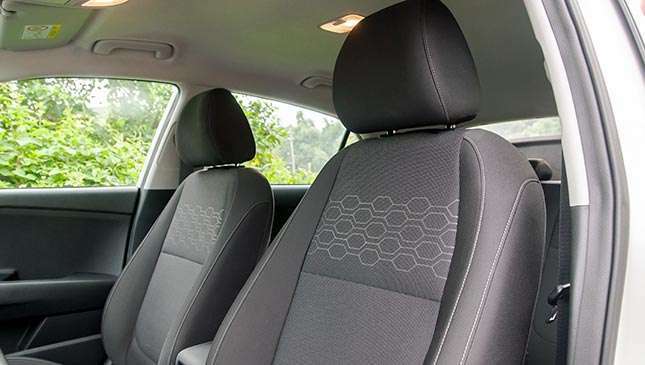 The interior is decked out in black fabric, with seats that are comfortable and supportive. The clean lines of the dashboard leading down to the central climate controls are visually engaging. Thanks to the Supervision cluster that also comes with a 3.5in info display, everything you need to know at a glance is front and center. The steering wheel is a beautiful, functional piece, although it looks like a hybrid Mazda/Volkswagen item. The multimedia system isn’t as fancy that of other class favorites, but it’s as functional as it gets. And maybe it’s just me, but I kinda like the late-’90s Blaupunkt vibe. There’s Bluetooth connectivity for music and and calls, a USB port for smartphones and gadgets, and an aux-in jack for the more old-school folk. All that goodness, however, only throws a spotlight on the things that don’t quite make the cut. While NVH suppression is pretty good, there’s a sound that permeates the cabin from at 1,800-2,500rpm. It’s not loud nor intrusive; more of a minor niggle, There’s also a thud in the rear suspension that sounds like a worn bushing or a loose bolt (it’s not the tools or the spare tire—I checked). Hopefully, it’s an isolated issue with this test unit, which has clocked in 1,800km so far. And as mentioned, this car really needs a better transmission. The four-speed automatic gearbox is of two minds at times, with long ratios that make inefficient use of the already modest engine power. Throw in a six-speed manual for this variant, please. On the one hand, we have what is in my opinion the best-looking hatchback in its class today. The interior is a joy to sit in and experience. It has its fair share of excellent appointments that make the drive both fun and convenient. 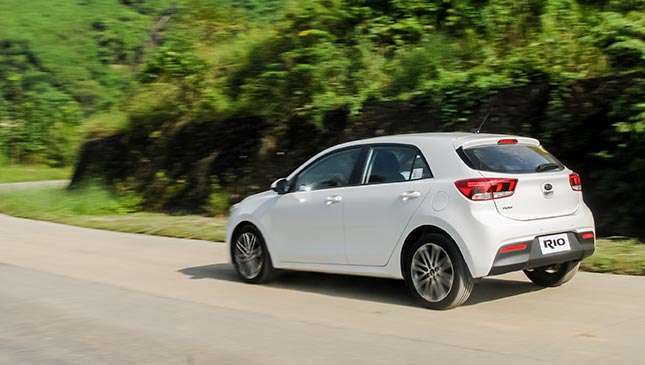 But on the other hand, it’s clear that both the marque and the model still have some ground to cover before getting anywhere near class leaders like the Toyota Vios/Yaris and the Honda City/Jazz. 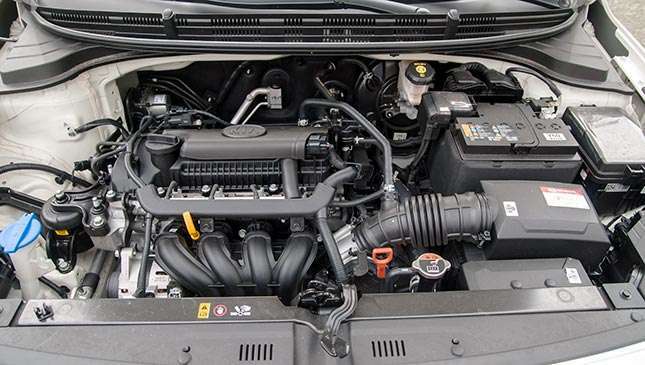 More product planning is needed, because this engine-and-transmission combo has already received its fair share of reviews on the outgoing model. That said, I think Blaise Pascal understood it best when he said, “The heart has reasons, of which reason knows nothing.” My infatuation for the car wins out, despite protests from my internal logic board. For the entire test period, I take any reason to get in the car and just drive away. I find myself just admiring it. You see, sometimes we purchase a car not simply because it fits the budget or has excellent features. Sometimes, it’s enough that we want something so bad, without fully understanding why. After all, the heart wants what it wants.